The Spacklehoss Don't Do It Yourself Squier '51 Dimebucker installation. And yet again, we are not responsible for any damage you do to your piercings, your tattoos, your guitar, your local Kinko's staff member, or your zircon-encrusted tweezers. We are not responsible for any of your actions. At least until we are invaded by extraterrestrials, and even then, we are still not responsible. Seriously, just get the phone book out and look up guitar repair. Let the professionals do it. Proceed at your own risk. All images and text Copyright Protected © spacklehoss.com 2007. All rights reserved. There is really not much to this. And remember, I don't have neck pickups on my '51s so I have no idea how the Dimebucker will sound blended with a neck pick up. 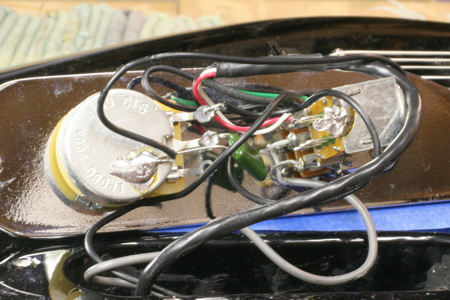 I wired the pickup to split the coils like the stock pickup and added a tone pot. I used this diagram from the Seymour Duncan website. I used the stock volume pot and a new CTS 500k pot and .047 capacitor. here. In fact you should watch his videos before you proceed. I did. Take off the control plate. Don't forget the blue tape! Find the wires that lead to the stock humbucker (its the one with the green sleeve) and cut them. Remove the screws on the pickup mounting ring. Remove the stock pickup. Read the directions that came with your pickup. 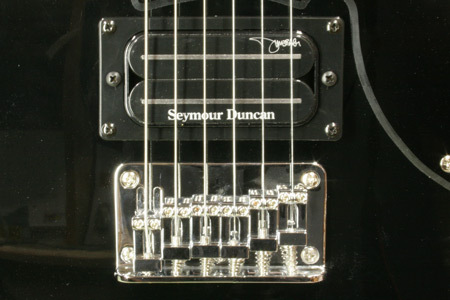 Set up your new Dimebucker with its mounting ring and springs. Fish the Dimebucker wire through the body hole and into the control cavity. 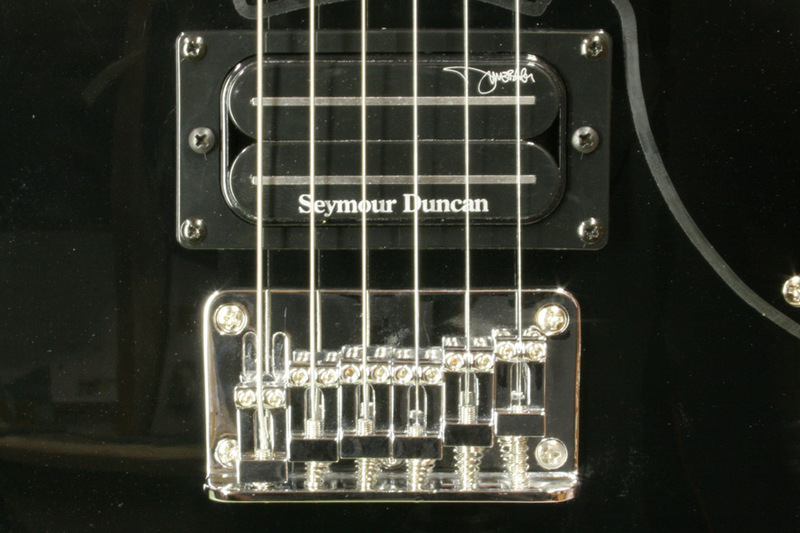 Mount the Dimebucker with your old mounting screws. You can adjust the pick up height later. Yeah, I know. It actually looks better than what you see in the photo. The hard part is soldering wires to the back of the pots. Practice makes perfect. The SD wiring diagram says it all. Put everything back together and adjust the height like this to start - 1/16" from the bottom high E string and 3/32" from the bottom low E. After that, adjust to taste. Sorry, I did not feel like mic'ing my cab.